I think this was a female Fall Cankerworm Moth. She was very small... about 3/8ths of an inch long. It's somewhat of an oxymoron to think of a wingless moth. 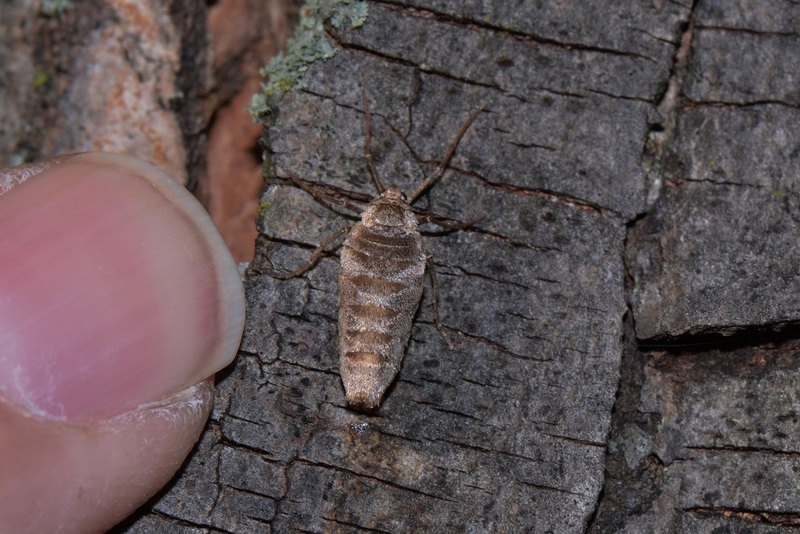 However, there are quite a few species of moths that have flightless females. 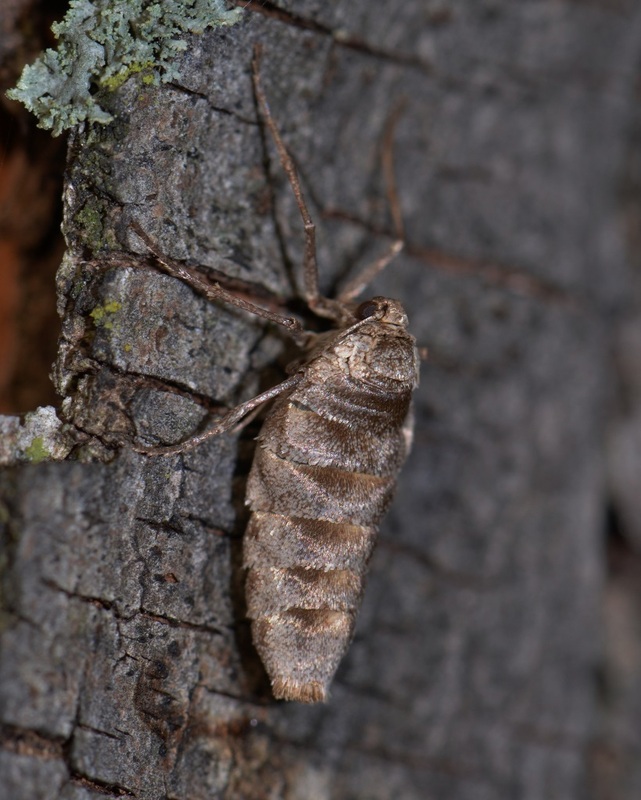 About all these flightless moths can do is run around on the trees and emit pheromones to attract the males (the males can fly). This strategy works, but it seems to me its a rather sad loss of genetic information... what if it were a butterfly without wings? When I found this odd-looking moth, we were at a schoolhouse for family get-together. I went around the schoolyard looking for anything interesting. I showed this wingless moth to a number of people of various of age groups. They all seemed intrigued by its lack of wings. A moth that has no wings! I'd say that qualifies it as an interesting moth. I don't find a wingless moth sad at all. Nature's diversity never fails to amaze. It's no surprise to me that the Creator's artistry is beyond both our imagination and our understanding.